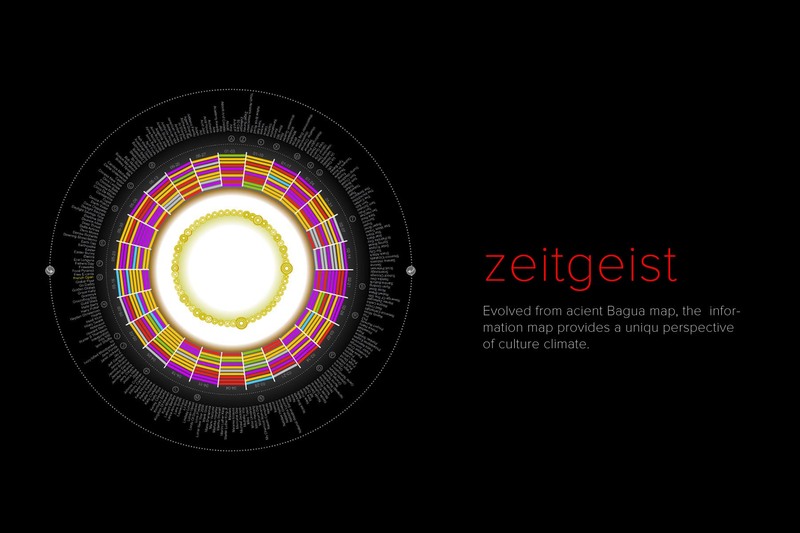 The video is inspired by symbols that have been used again and again in different cultures and religions. 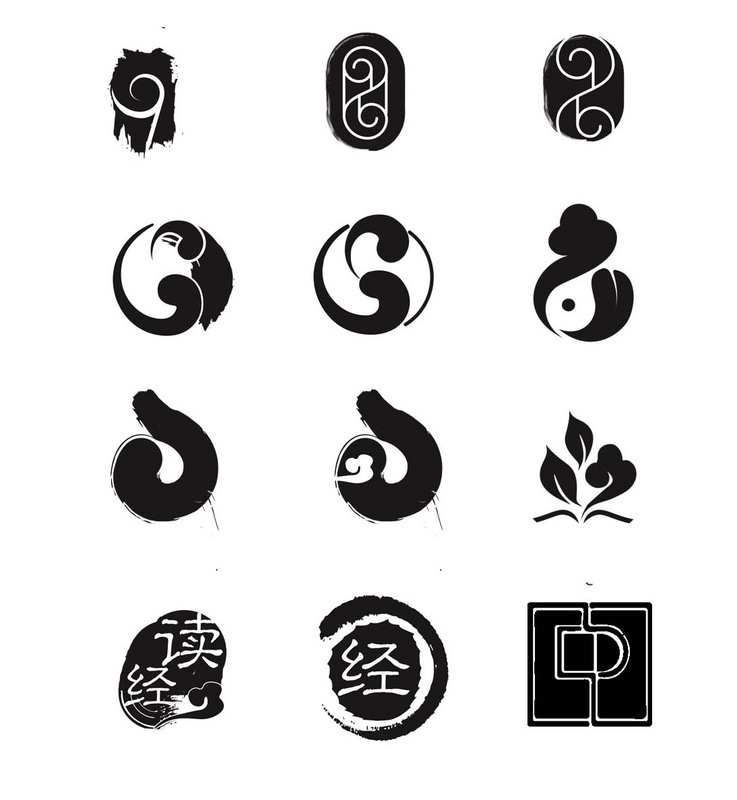 In my video, each symbol emerges and disappears as part of an ongoing cycle, with each repetition reinforcing the idea of the symbol’s special function in each culture system. 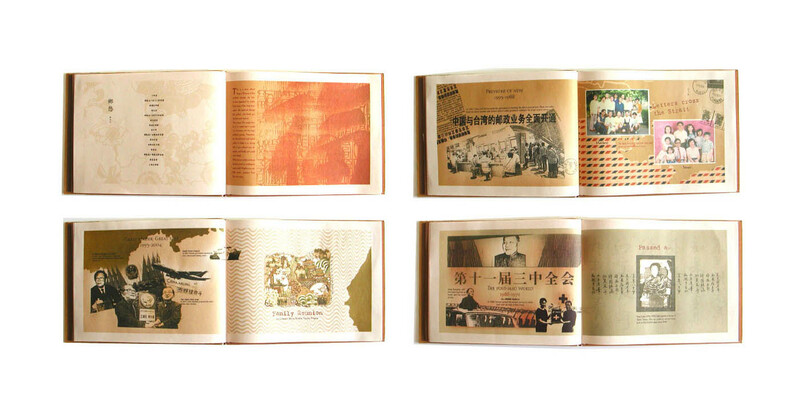 The movie is inspired by five elements from Chinese astrology and by events from my life. 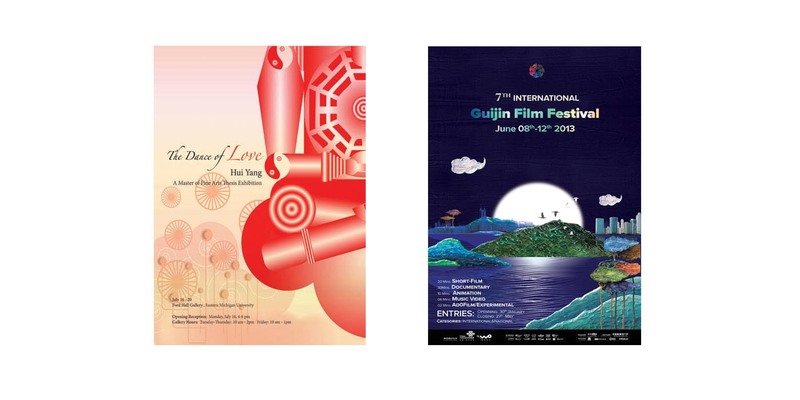 It narrates the journey of two lovers who fall in love when they dance together. 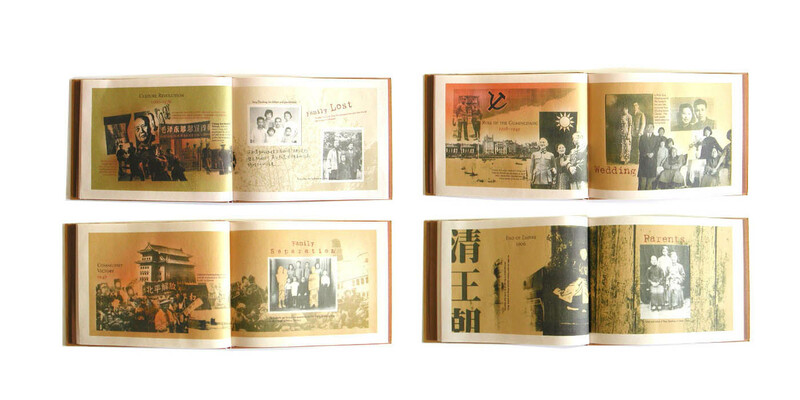 During the dance of love, however, they have to overcome hindrances such as traditional family structures, geographical boundaries, and their fast-paced, urban lifestyle. 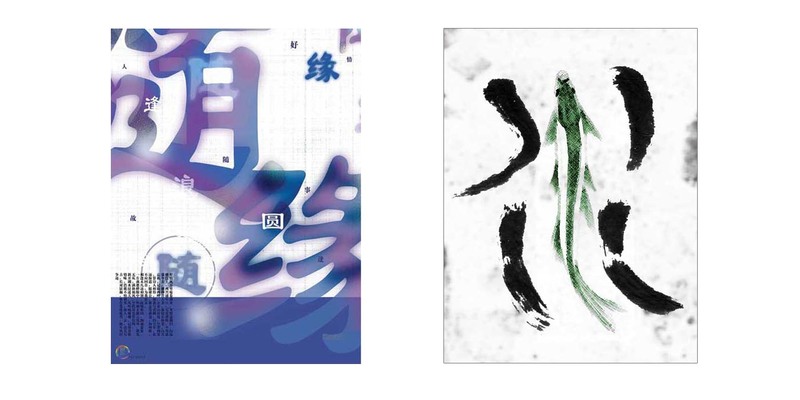 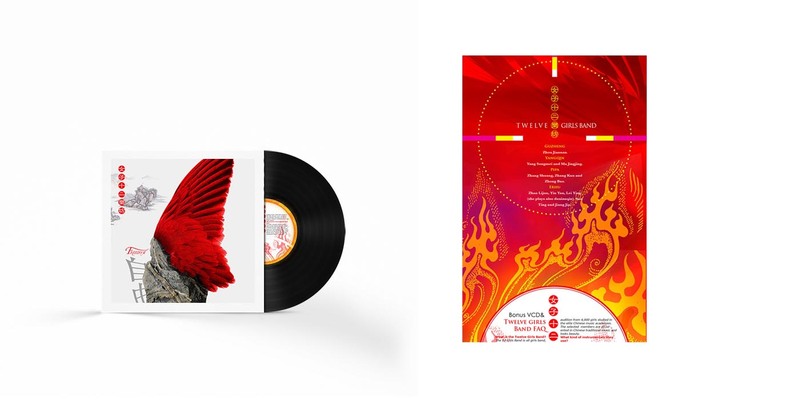 This video creates a virtual space that brings together typographic and symbolic iconography from Chinese and American cultures. 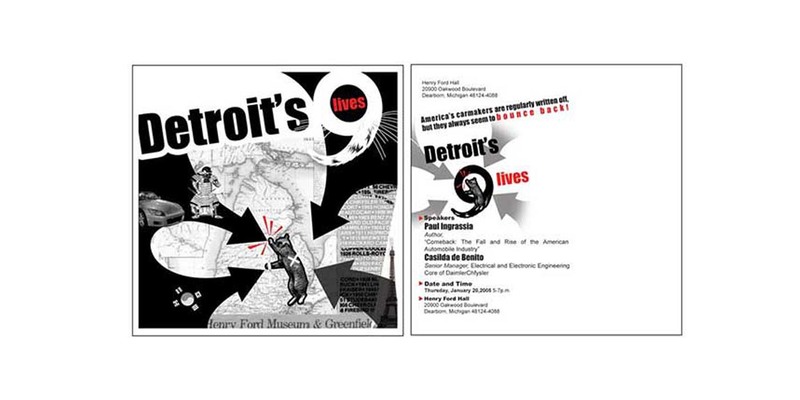 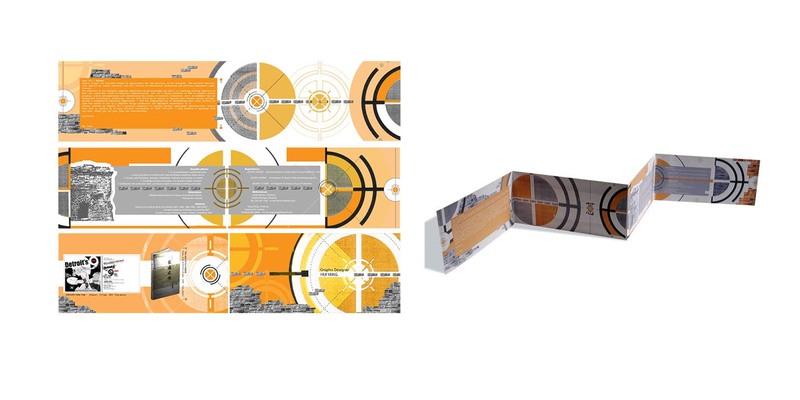 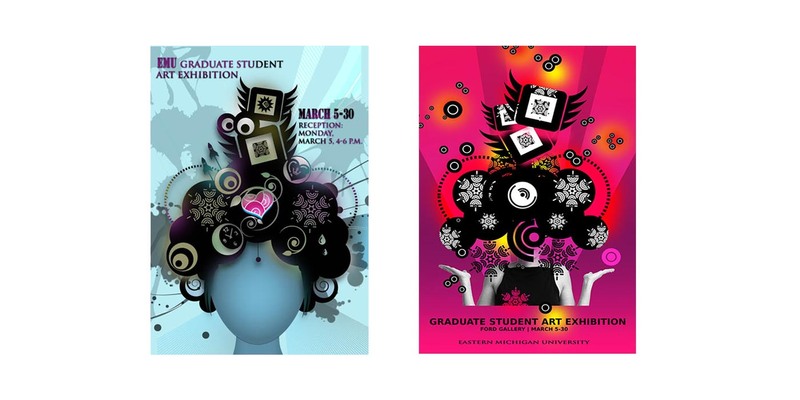 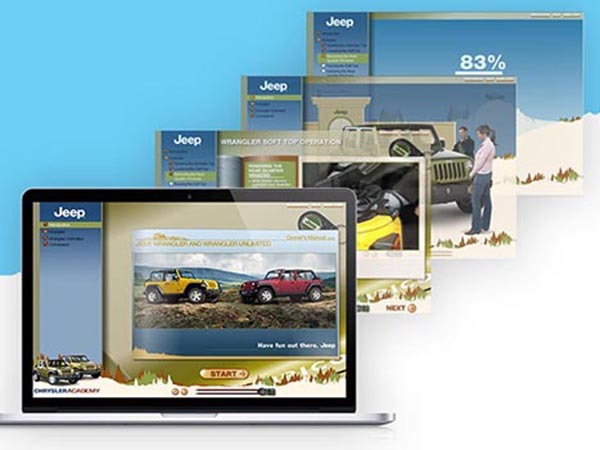 I have been designing Graphic Art and Websites professionally for over 15 years. 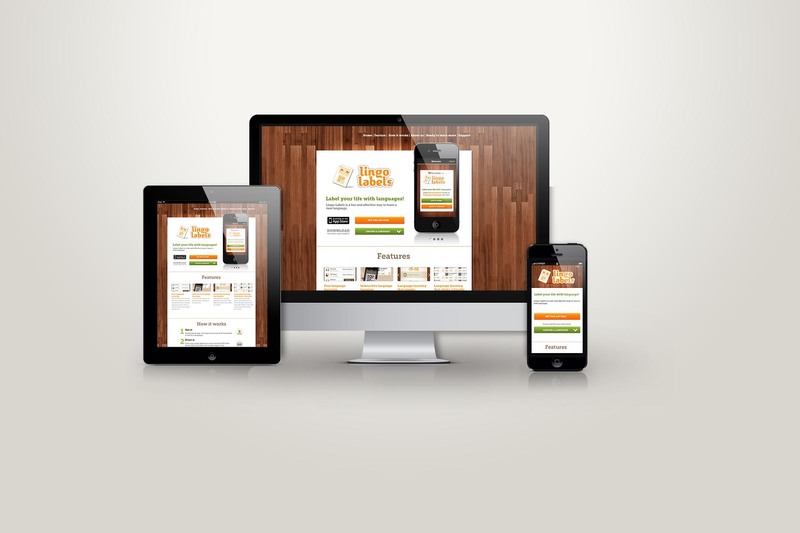 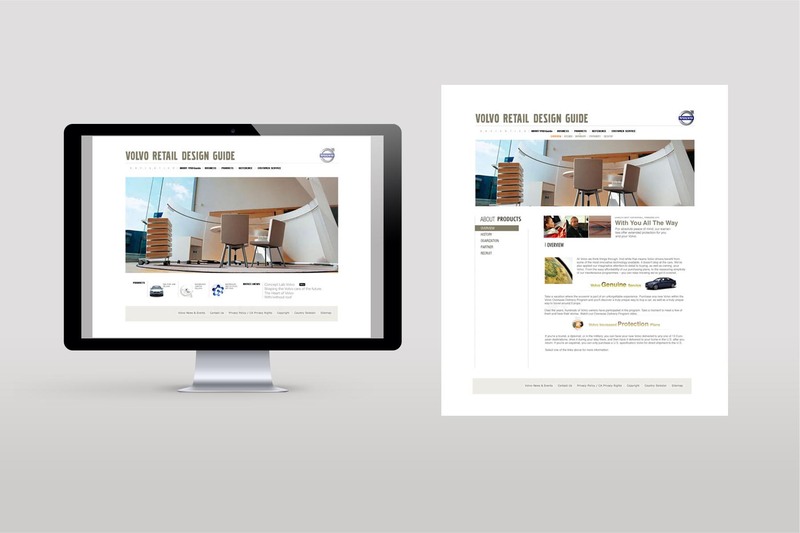 I create visually compelling and user friendly websites to the latest standards, branding solutions and graphic design. 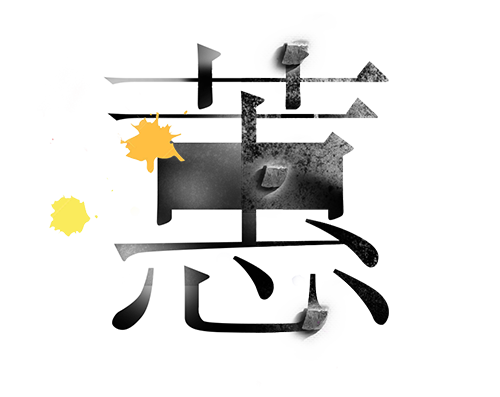 Along with being a freelancer of web designer/developer, currently I am teaching web design courses on college level in Metro Detroit area. 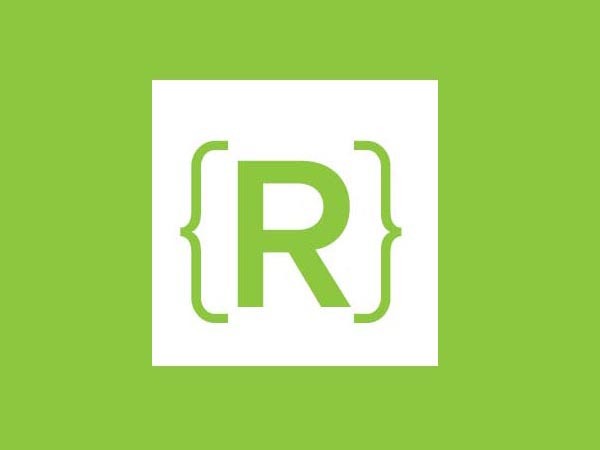 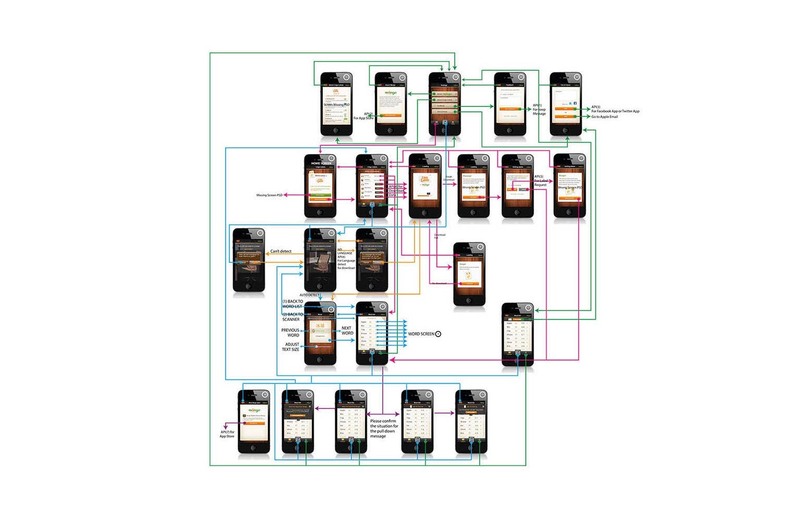 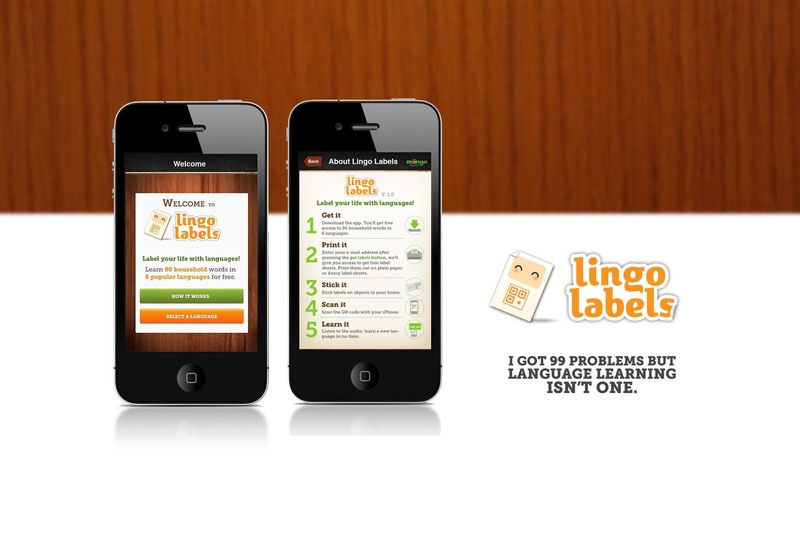 Realia is an app design that targets new languages larner . 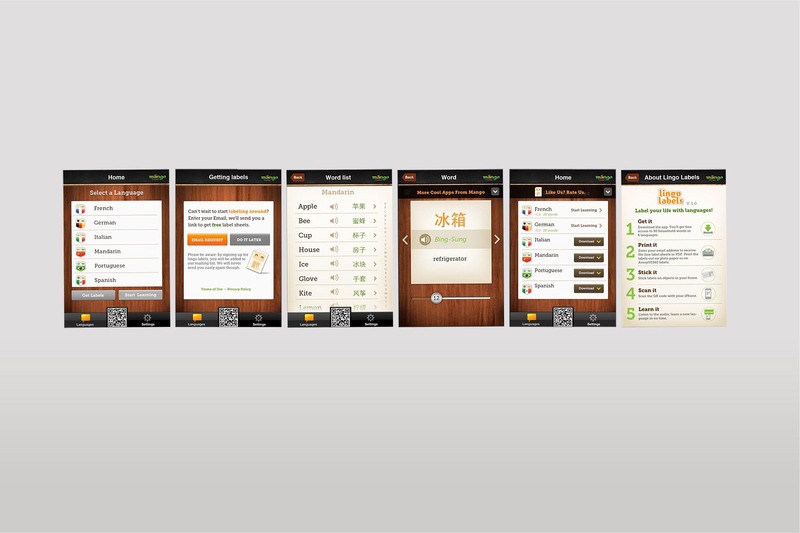 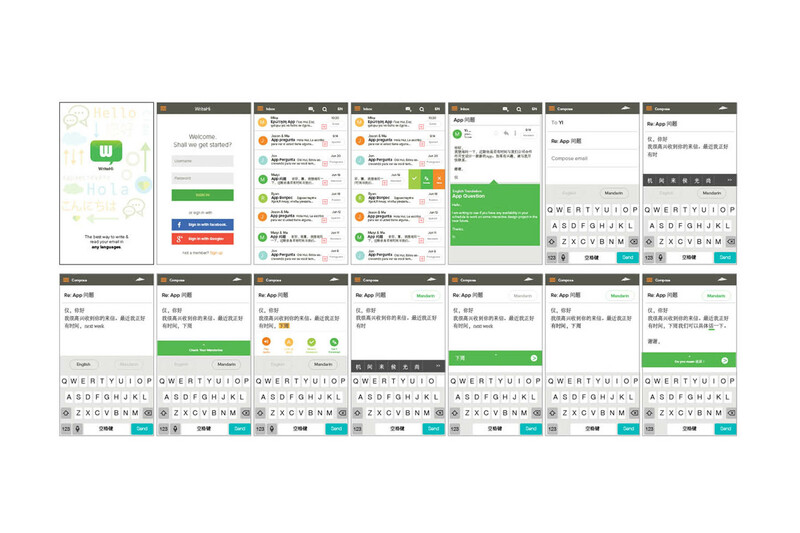 The challenge was attempting to compete with other existing translation APPs through intuitive user experience design and build-in translation functions. 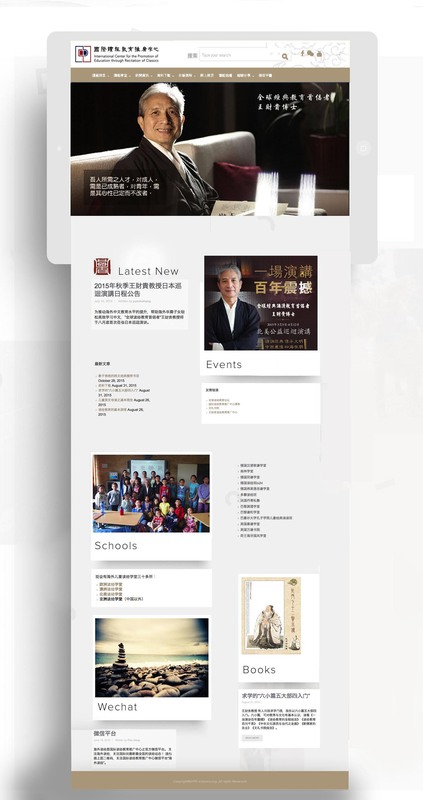 It includes social media with rewards and gaming system, which accommodate different learning styles and facilitate learning through a variety of activities. 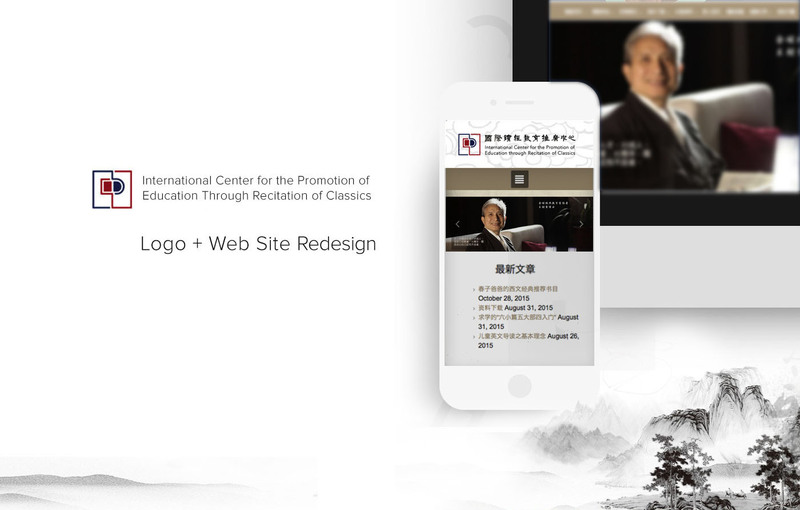 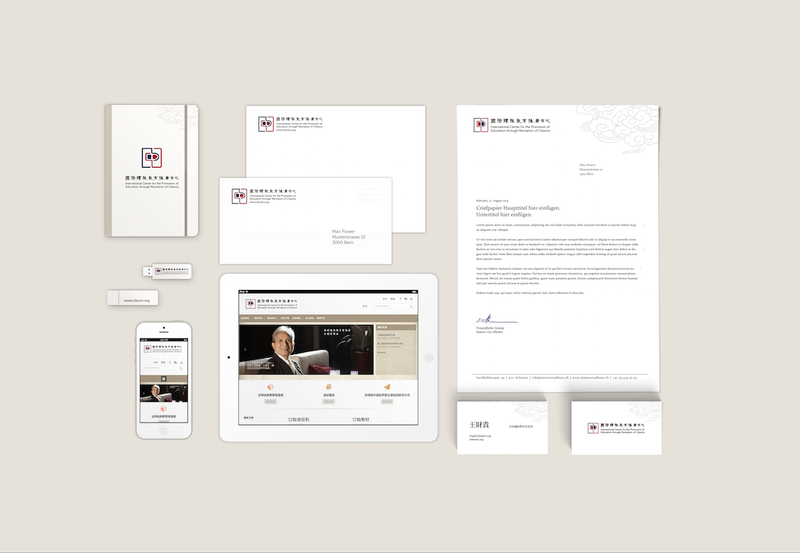 The logo and website redesign for International Center for the Promotion of Education through Recitation of Classics. 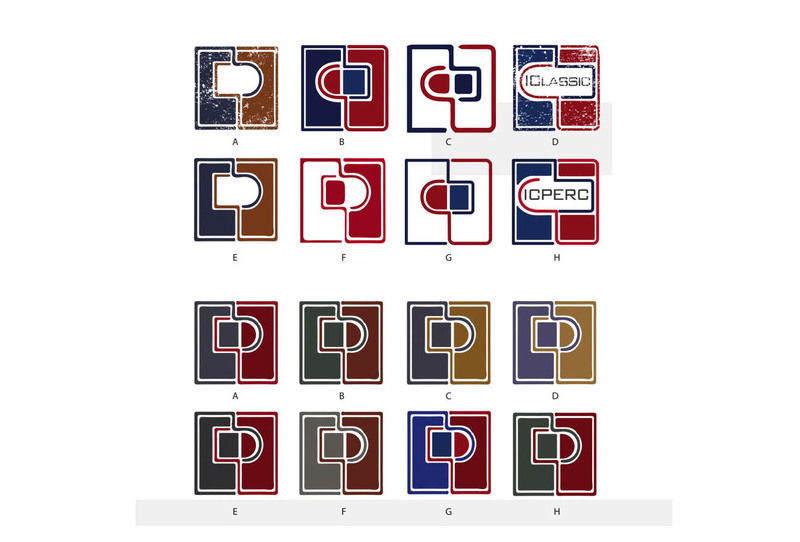 The logo is a mixture of round and square object with a character which means "center or fusion" in between. 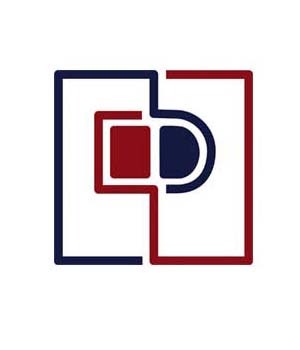 It symbolizes the mission of the organization that demonstrates an open mind and excellent manner to encourage the cultural exchange by reciting the Classics (books). 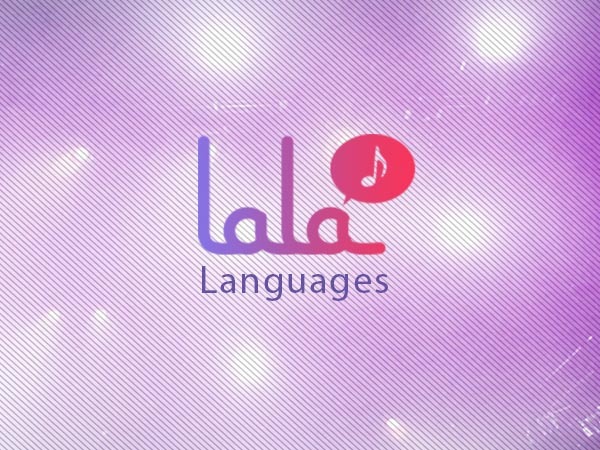 Lala is an interactive language learning application that takes a revolutionary approach to language learning through music! 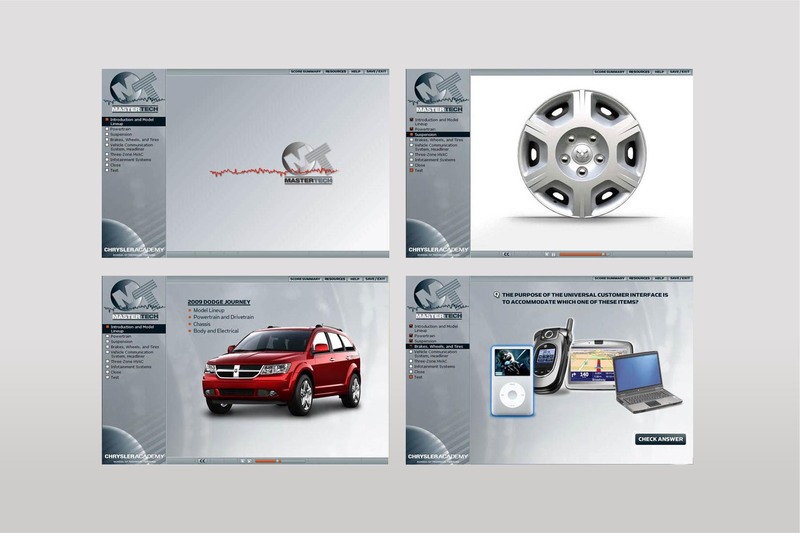 Main interface includes music screen (responsive to screen size), course screen, user profile sreen, game and other activities panels. 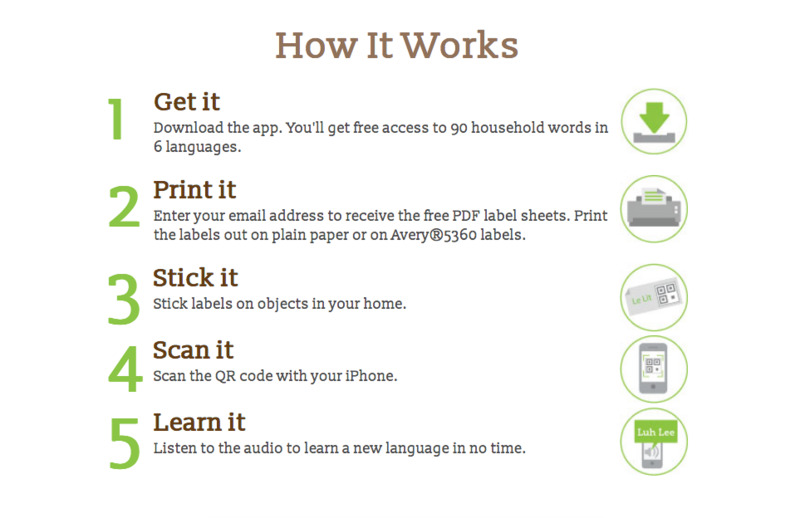 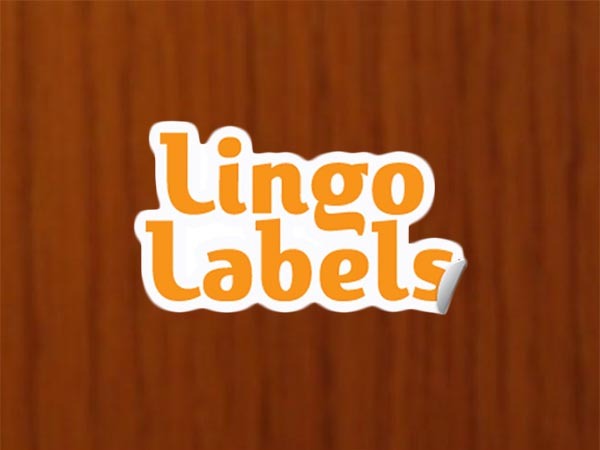 Lingo Label is a fun and interactive iOS app to engage learner to learn languages by scanning OR codes. 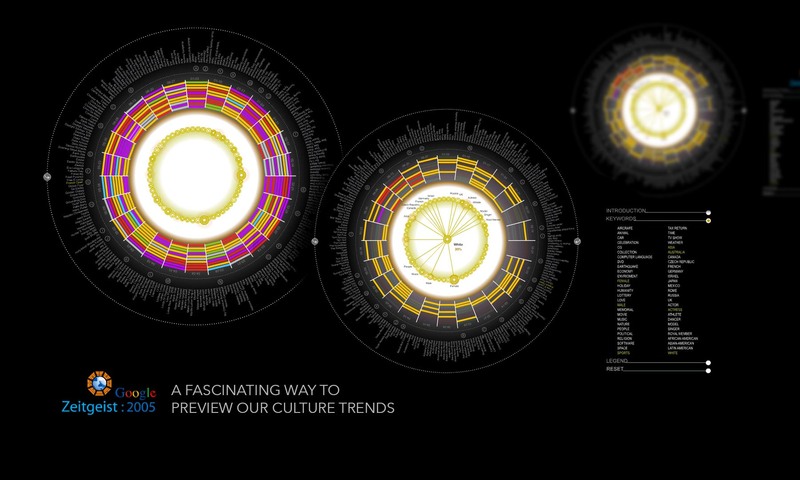 An experimental project in which I create a global information system for a worldwide audience. 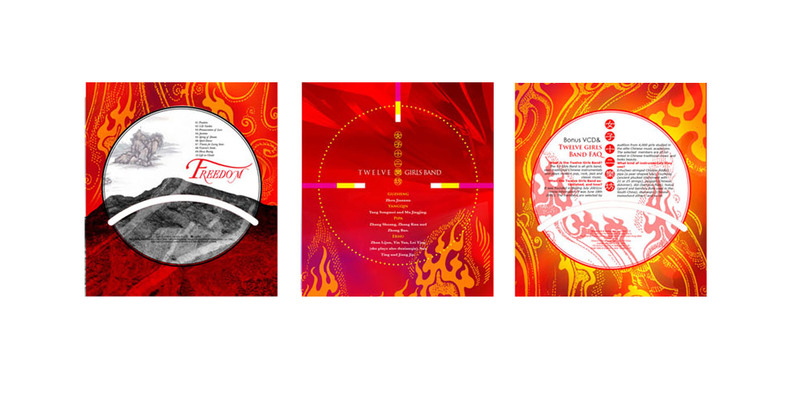 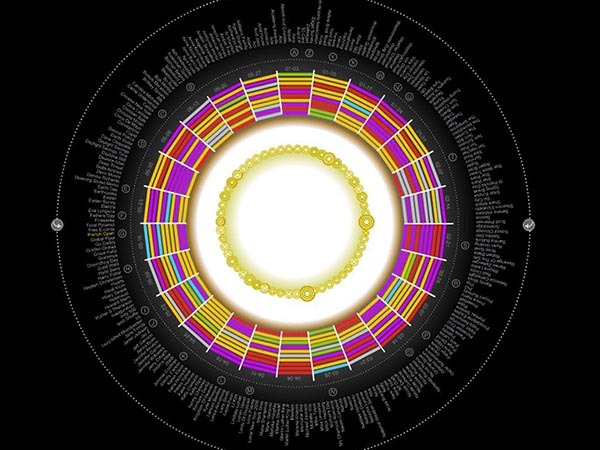 The visual form of this information graphic was inspired by Chinese Feng Shui (Ying) maps, which were used in ancient Chinese culture to predict the future. 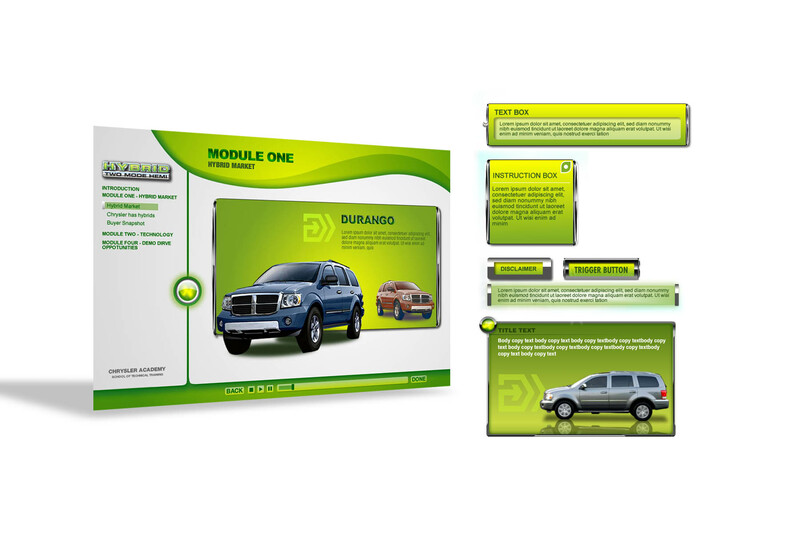 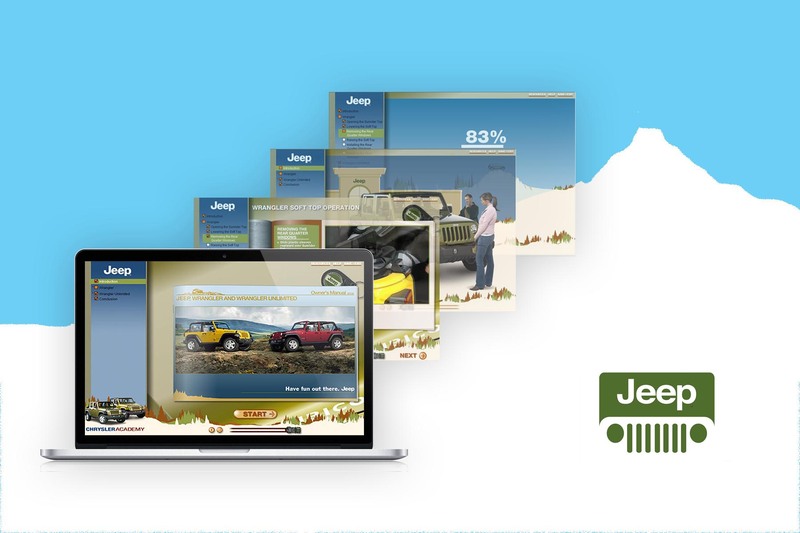 Online E-learning website designs for Chrysler Academy and Volvo retail design guide website design. 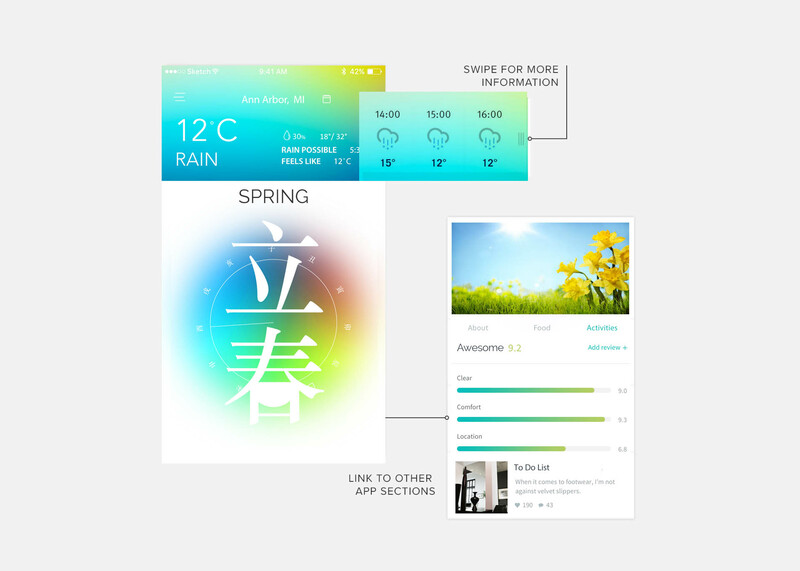 SmartChi is a beautiful weather app which can accurately forecast the future rainfall, air pollution and more weather conditions. 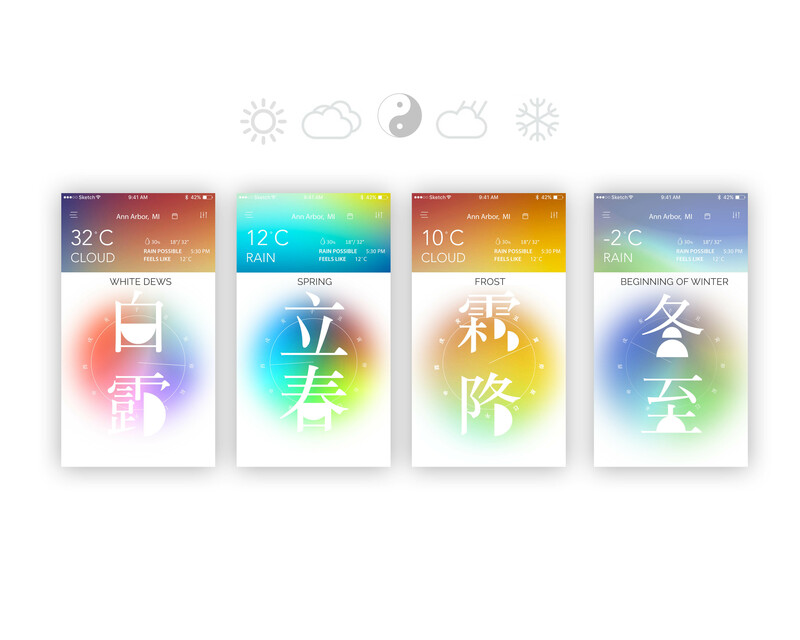 The most beautiful part of this app is an Eastern perspective view on how the nature will affect our daily life. 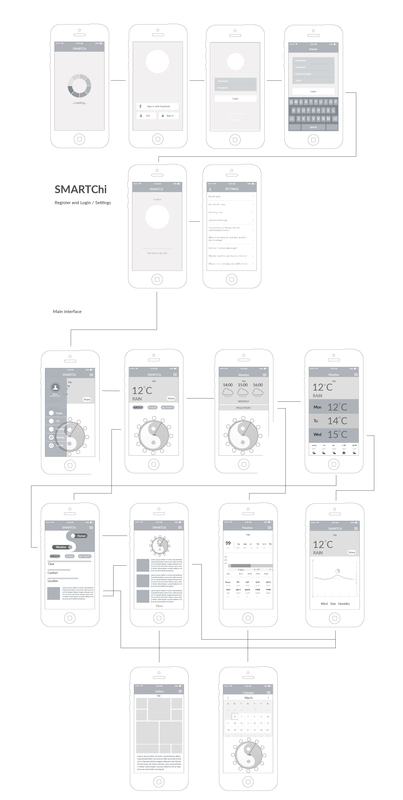 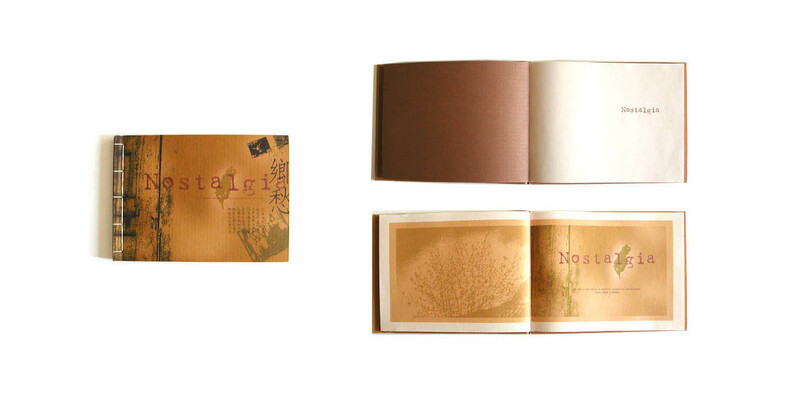 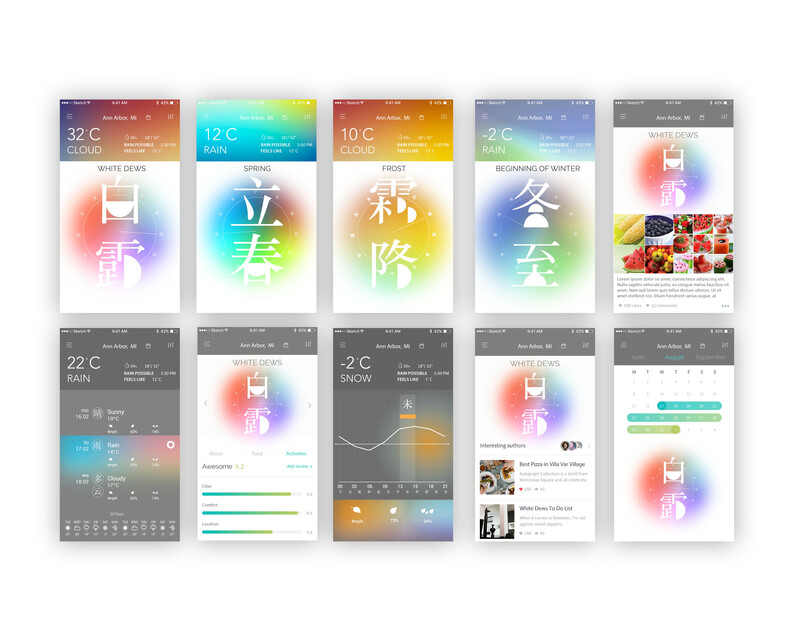 Pages of this prototype: Home, Weather, City, Weather & Pollution, Help and etc. 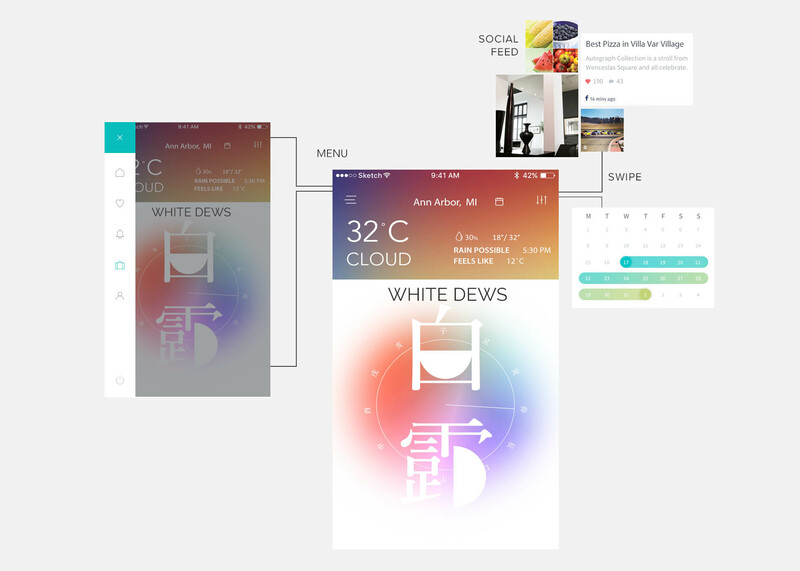 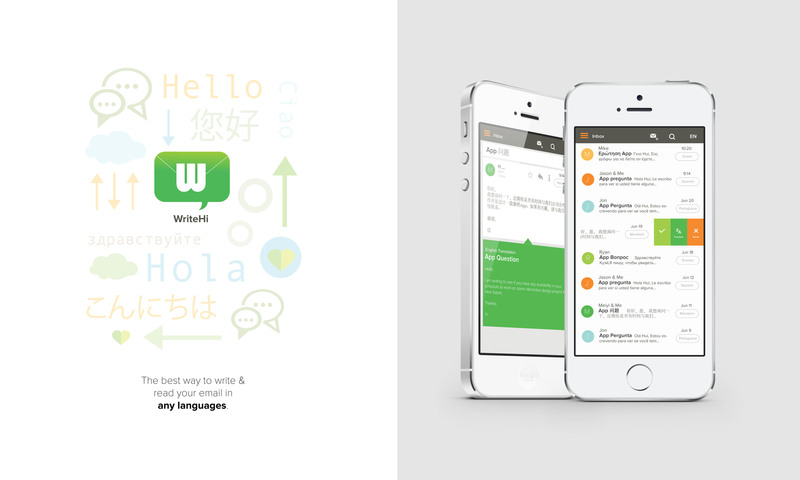 WriteHi is an App concept design specifically for communicating in different languages. 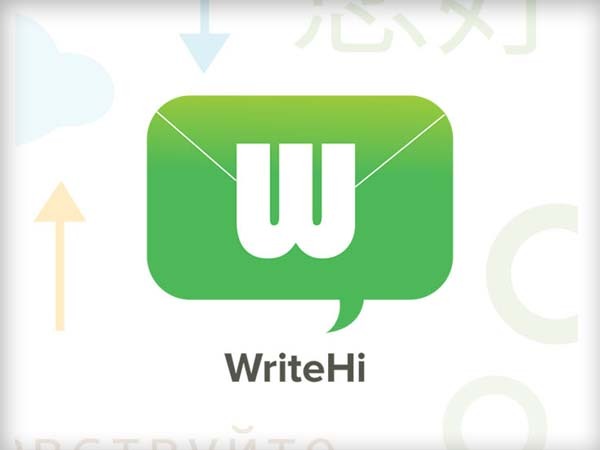 It has instant build-in translation functions that could bring more freedom in writing and reading emails on your daily basis.